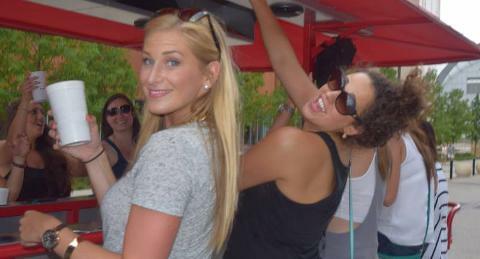 Two hour Scottsdale pub crawl of the downtown bar and entertainment district. The bike comes complete with rocking sound system, LED party lights, and electric assist motor. More than 15 people? Call us for a multi-bike discount if you have a large group and need more than one bike. We can host up to 120 people at once on eight party bikes! 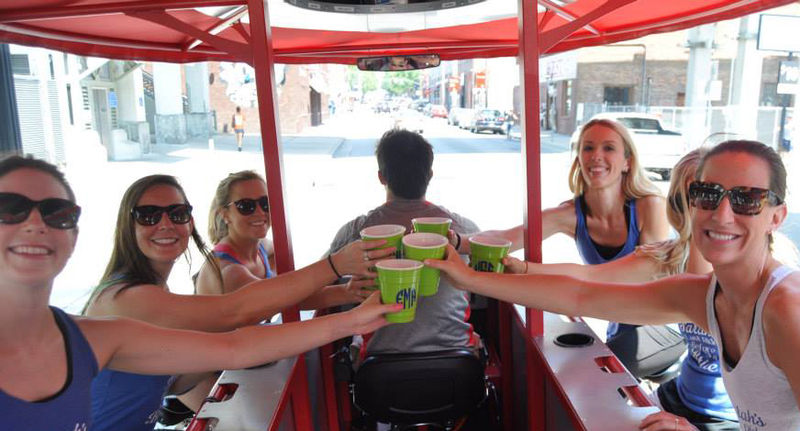 Book anywhere from one to fifteen seats on this pub crawl, where your certified party bike pilot will bring you and your merry band of companions to three of our partner bars, where you'll receive exclusive drink specials! 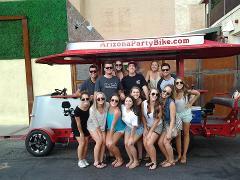 The party bike operates in the downtown Scottsdale area, known worldwide for its many luxury hotels, pools parties, incredible restaurants, daytime patio bars and most of all its nightlife — and the party bike is the ultimate way to experience it! Bring your friends and meet some new ones along the way. This pub crawl is definitely not recommended for people who hate fun! 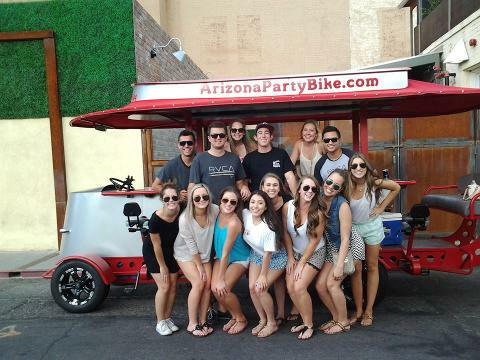 The Old Town Pub Crawl is perfect for any day or night out with friends, birthdays, tourists visiting Scottsdale, and small groups that can’t fill a whole bike! Have more than 15 people and need more than one bike? 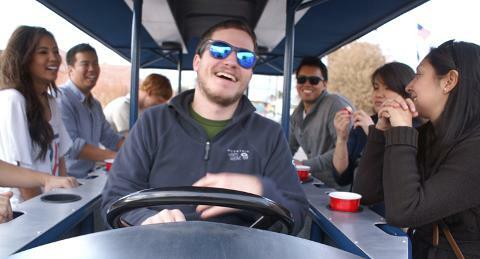 We have eight pedal taverns available and can accommodate up to 120 people at one time! Give us a call at 844-654-5544 and ask about our 10% multi-bike discount. This is a great option for company teambuilders and conference groups! Note: All pub crawl riders must be 21 years of age or older. 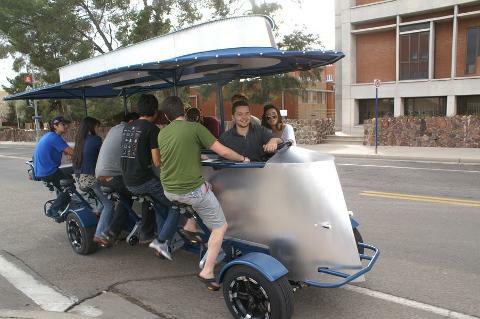 Pub crawls will run when a total of eight seats are booked in order to comfortably pedal the party bike. If we do not reach that threshold, we will notify you 24 hours in advance and offer to refund or reschedule your tour. Email or call us at 844-654-5544 if you have any questions!